With the end of the year approaching, there are many things on our to-do lists. 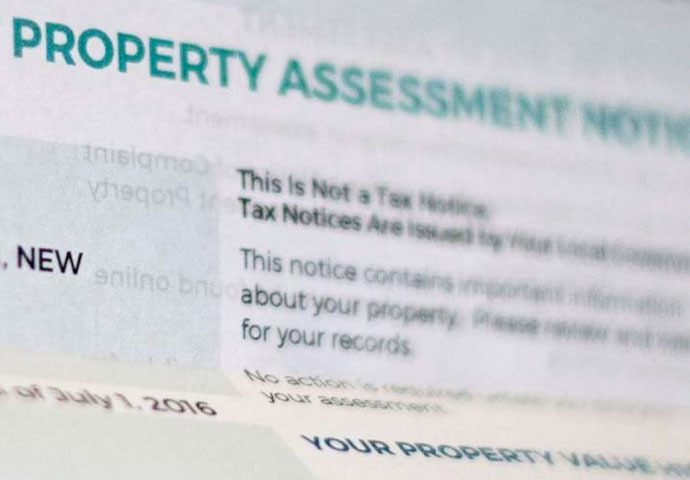 One item you may want to add is reviewing your property assessment. This is an important item not to be overlooked. New Canaan, Darien and Norwalk are among a number of towns in the state of Connecticut conducting property assessment revaluations. The state of Connecticut mandates by statute that each town conduct a town wide property revaluation every five years in order to reset what is referred to as the “Grand List”. The Grand List is the value of all residential and commercial properties in the town that make up the town’s property tax base. The Grand List values are the assessed values of each property equal to 70% of the fair market value of the property. Each town’s Board of Finance uses the Grand List to set the town’s annual mil rate in order to ensure sufficient funding for the annual budget. All three towns have hired an outside company to perform the revaluation. The revaluation company will be looking at sales within the past year and then using those sale values to set the assessment for similar houses. Toward the end of the revaluation process each property owner will receive notification of the new assessed value. Take time to review your new assessment carefully and compare your assessed value to the sale price of similar homes that sold in your neighborhood in the past year. If you are not aware of any similar houses that have sold in your neighborhood, it may be worthwhile to hire an appraiser to perform an appraisal of your property as of the revaluation date, which was October 1, 2018. If you believe there is a discrepancy of your property value between your calculation and the town’s, you will be given the opportunity to have an informal meeting with the outside revaluation company to discuss the methodology and correct any errors in December or January. Once the informal meetings have completed the new assessments become final but you still have an opportunity to appeal your new assessment to the town’s Board of Assessment Appeals. The deadline to file an appeal is February 20, 2019 and appeal forms will be available on the town’s website generally beginning in January. Note that if you miss the deadline to appeal your new assessment to the Board of Assessment Appeals you cannot challenge your assessment until the next Grand List is posted in October of 2019. If you decide to appeal your assessment to the Board of Assessment Appeals, you should bring a list of comparable sales that support your position on the value of your property as of October 1, 2018. The easiest way to do this is to appear with an independent appraisal of your property. If you are dissatisfied with the result of the Board of Assessment Hearing the next step is to appeal the town’s decision to the Connecticut Superior Court. This appeal must be taken within two months of the date that the notice of the Board of Assessment Appeals decision is postmarked. Due to the depressed housing market, particularly in some portions of New Canaan and Darien, many homeowners may see their assessment go down in this revaluation cycle. However, do not let this decrease lull you into thinking that your taxes will be reduced. As was stated at the outset, the mil rate is based on the total Grand List. If the value of the Grand List goes down, the mil rate will increase to meet the town’s budget needs. Therefore, a lower assessment could still result in higher taxes. For this reason, it is essential that you carefully review your new assessment and be prepared to appeal it to the Board of Assessment Appeals if it is not in line with the other homes in your neighborhood. If you wait to pay attention to your new assessment until your new tax bill comes out in June of 2019, it will be too late. The appeals process can be a tedious one. If you need assistance, Rucci Law Group can help guide you through it.